All my working life I have been growing plants commercially and recently have decided to specialise in growing succulents. The best thing about this is the huge variety, something for everyone. 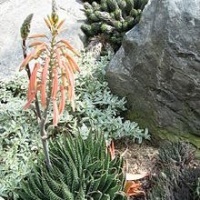 I will constantly be adding new plants for sale so please keep checking in for something different. My nursery is in East Kent but not open to the public hence the online sales. 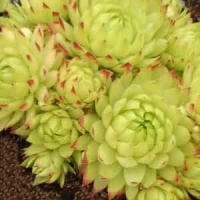 Plants are supplied in 8.3/8.5cm pots and all packaging/pots are recyclable. Orders are packed and despatched the Monday after receiving them and sent royal mail 2nd class. If you are sending a picture with an e-mail please send to simplysucculents@gmx.co.uk as the website doesn't accept photo's and we get nothing, thank you. PLEASE NOTE orders recieved from now will be packed and sent from the 29th April as we are at Harrogate. Thank you. I hope to see lots of you at these shows just come and say hello. Thanks for looking at my website. 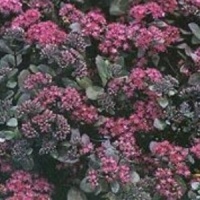 Carpeting herbaceous succulent with green leaves turning purple with stems ending in clusters of red flowers late summer. Tough plant - hardy up to -7c. Easy house plant. Orange flowers on racemes.